One day he's tracked down by an uncle he barely knows - a man his mother claimed was dangerous. 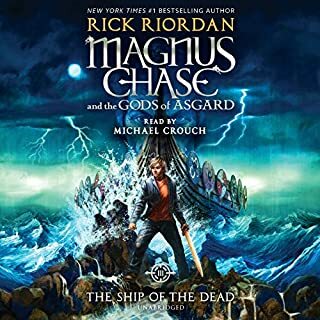 Uncle Randolph tells him an impossible secret: Magnus is the son of a Norse god. 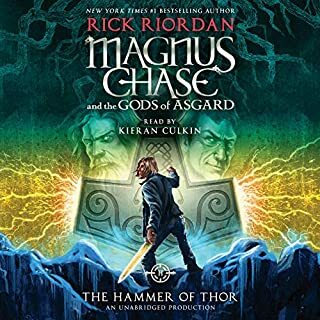 The usual fun, young, downtrodden-hero-makes-a-name-for-himself story with an interesting and mildly educational twist in Norse mythology. Thumbs up. The only downside was the bland and mostly uncharismatic reading. I'm not sure what the accents he was trying were but they were not on point either. Let's hope for a better read in the next installment? As I began listening to this book I was rather disappointed in the narration. 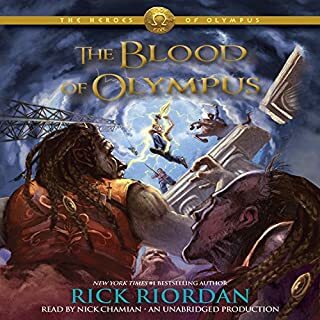 As I continued to listen I became incredulous as to just how poor the narration was—stilted reading of the text, unconvincing character voices, atrocious attempts at accents. Then I found myself becoming angry—not at the narrator, at the audiobook publishers. This appears to be the narrators first attempt at audio narration and he obviously had no idea what the art of narration required. Furthermore, he likely didn’t know what audiobook readers expect and how demanding we are… but the publishers knew. Now I am actually angry with the publishers at Penguin/Random House/Listening Library for throwing this performer to the wolves without a second thought. He is going to be slammed for the quality of the narration—sadly, deservedly so—and I feel certain he had no idea such a slap down was likely. What were the publishers thinking?! They knew the narration would be included in reviews. 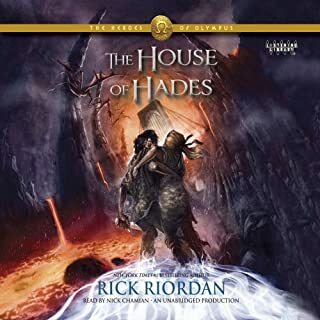 They knew readers didn’t appreciate the poor narration of the last two books they published by Riordan. And they had to know this performance would be received even more poorly than those. Why would they set up anyone for the public humiliation that will come with the performance of this book? 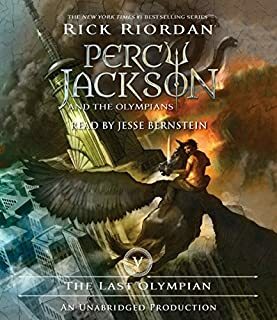 I also feel sorry for Rick Riordan who has put a lot of work into creating this new series, only to have it butchered by a publisher who hires a narrator with insufficient talent or experience to do justice to the work. 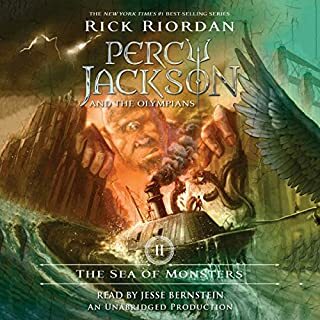 If this narrator continues with the next book in the series, someone needs to give him some serious coaching on how to read text in a natural manner, differentiate character voices effectively, and—please, dear lord, please—how to do accents! I’m sure this guy can learn… somebody please help him… I don’t want to have to give another crushing review of his performance! I'll be honest - I'm only at Chapter 8. 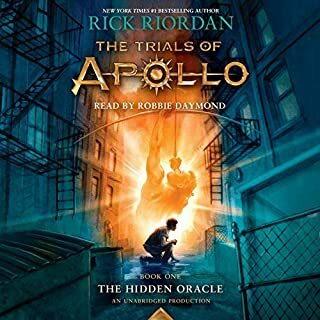 I love Rick Riordan, and have been waiting for this to be released. I eagerly downloaded it this morning and started listening. Go buy the book and read it yourself. I'm at Chapter 8, but I am liking the story. I'm confused, but I'm supposed to be. Would you be willing to try another one of Christopher Guetig’s performances? No. This performance made me nearly return the audible and just buy the book. I drive a lot and listen to books as I drive, so I can get through more of my reading list. I don't know if the idea was to make the narrator sound like a teenager, but it is simply awful. I can't decide if he sounds drunk, drugged, or is just slow for effect. I keep telling myself that it will get better, or that the story is worth it. I'm trying. The narration provided by Christopher Guetig makes my ears bleed. It sounds like it's being read half pace behind with this "I just woke up and my nose is stuff up" tone. Who picked this guy? Seriously. It's a wonder I've made it this far on the audiobook. 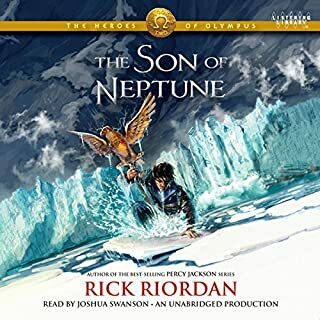 My son and I have hugely enjoyed all the Riordan books on audio over the years. As others have noted, this is the weakest narrator by far. We had a hard time overcoming his intonation and rhythm. That said, I would recommend persevering. 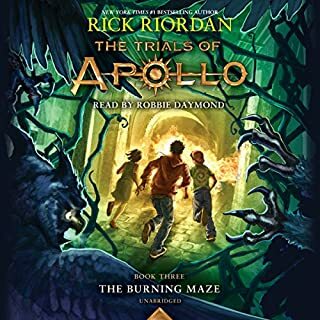 After the first several chapters, my son and I both got used to him and overall we are still glad we listened to the book. We were both looking forward to delving into Norse mythology. 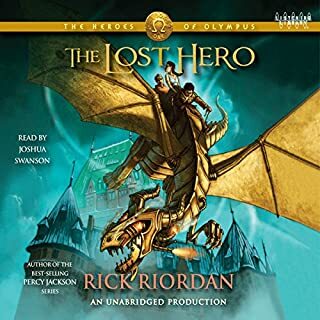 I'm not as familiar with it as the other mythologies Riordan has covered, but he explained it well. 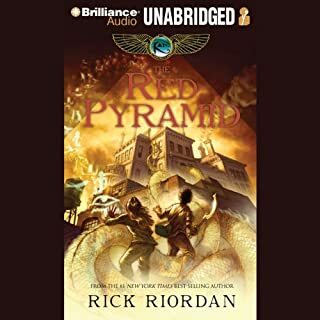 So far I wouldn't say this series is as good as the first Percy series, which is our favorite, nor is it as good as the Egyptian series. 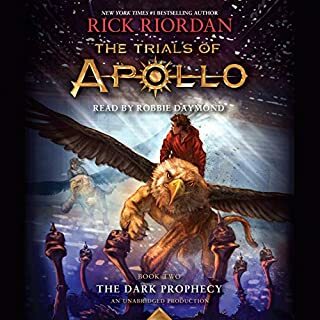 But overall would still recommend for any Riordan fan. I hope they did not pay for the Narrator. What didn’t you like about Christopher Guetig’s performance? I am not sue where they found this narrator. He sounds like he is reading a book to a group of 5 year old's at his public library. I am only 3 chapters in on this book and not really sure if I am going to make it. 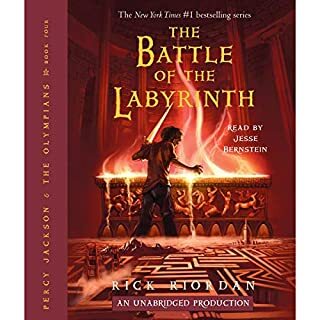 I love Rick Riordan's books, BUT this narrator has got to go. Wondering how much it would cost for this book to be republished with a different narrator. 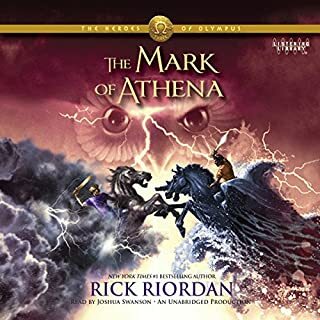 Before listening to this audiobook, I made sure to read others' reviews on the narrator (since that can sometimes make or break a story) What I found people were commonly saying was that this narrator's pacing and inflection were poor, the character voices didn't sound different enough, and overall it was a struggle to listen to. While I agree with this, what I also found was that other people had suggested listening at x1.25 the normal speed. DO THIS. Personally, the story far outweighs the struggles we have with the narrator, and x1.25 speed REALLY helps. 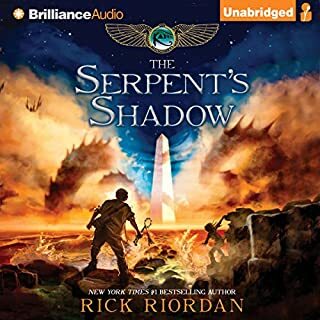 Overall, this is one of my favorite Rick Riordan books yet, and I hope the rough narration doesn't scare people away from listening to this otherwise great book! 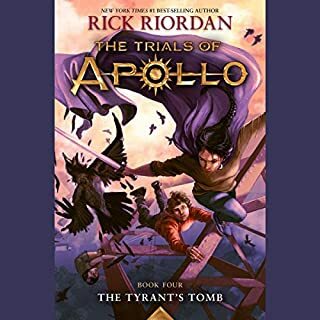 I'm only on Ch 3, and the story is roughly what I expected from Riordan. The narrator is absolutely driving me nuts though. His voice constantly sounds as if he can't decide whether a character should be male or female, all the adults sound like British gentlemen, and there is absolutely no emotion whatsoever. He's describing a particularly emotional or intense scene and I swear I get more emotion from my Amazon Echo. What's worse is the speed of the narration, I swear it's playing at 1/2 speed but Audible says otherwise. This might be one to skip on audio. If I didn't already have 4 credits saved up I'd probably return this one and get it on kindle. Sigh.. if only we could get the ebook version included in the audio version. Update: Do yourself a favor.. if you do get this, listen at 1.25 speed. It's far from perfect but much better than the rediculously slow 1.0. I loved the book, but actually went and bought a hard copy to read myself because I he reader's voice was so distracting. He tried different character voices but they were either inconsistent or not different enough from other voices. And the sing song rhythm? No. 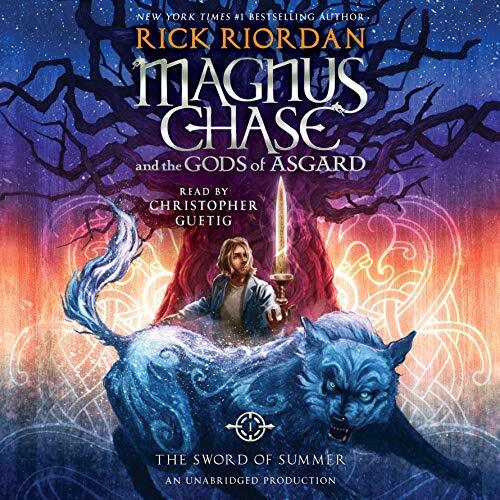 Would you try another book from Rick Riordan and/or Christopher Guetig? I LOVE Rick Riordan. All of his other books are great escapes and this story is no different so far but the narration is awful! I would NOT listen to another Christopher Guetig narration. 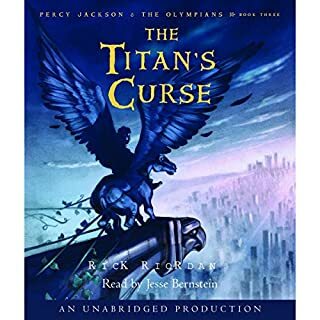 Jesse Bernstein reads the Percy series wonderfully; he sounds like the character but Christoper Guetig sounds like he's reading to VERY young children. His reading is slow (I've actually had to speed up the playback just so I can tolerate it), the inflection is odd and over dramatic in the wrong places. 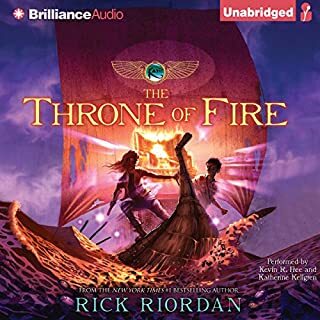 I'm still very excited for this story and I'm going to try a couple more chapters, but I think this will be my first refund because I'm so disappointed with the narration!